This week's sketch is a really sweet and simple one and the only other requirement is to include a kraft color, otherwise browns or creams. I have not gotten myself any kraft cardstock yet so it is definitely on my check-it-out list this trip back to Singapore. I have instead used a brownish- cream (or creamish brown) card for my base. Kept it simple and covered part of it with flowers cut out from the KI lace cardstock. 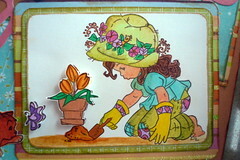 I love love love this little scene and attached the butterfly and the potted tulips with dimensions for some lift. 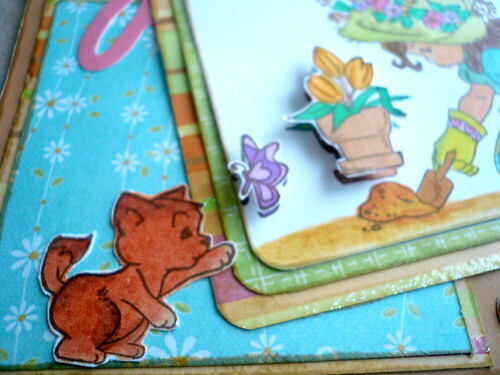 Also cut out that cute little cat and attached it on the side to make the whole scene more real. I wonder if its my scrapbooking habit to minimise white space but I thought it felt really empty. I am stuggling with the temptation to get a die cut machine and some nestabilities...sighs...I drool whenever I look at the cards made by the DT members around. Hi! 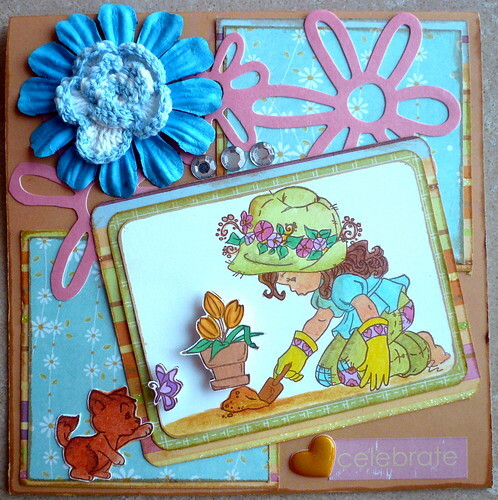 Your card is just lovely and a great take on the sketch! 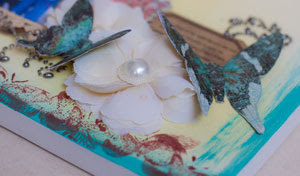 You've used one of my fave images and love the kitty and butterfly outside the frame idea. Thanks for joining the Sugar Bowl challenge and hope to see you in the next one too. Have a great day! P.S.I know what you mean by missing parcels. 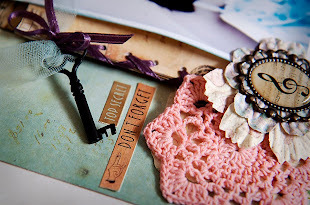 :( It's a risk I always take but so far all my parcels from Funky Kits (UK) arrive 7-10 days from my order. Great fast service! Like your really modern take on this sketch. Its so bright and cheerful! and like the way the picture has been angled. Fab! Beautiful card!! 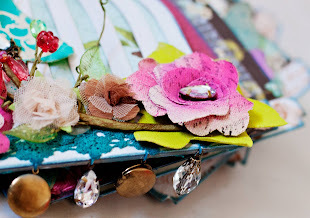 Love this image and the papers you have used are so pretty! Lovely details as well! thanks so much for playing along with Lilian's sketch! wow, your card is beautiful, love the colors and the image.